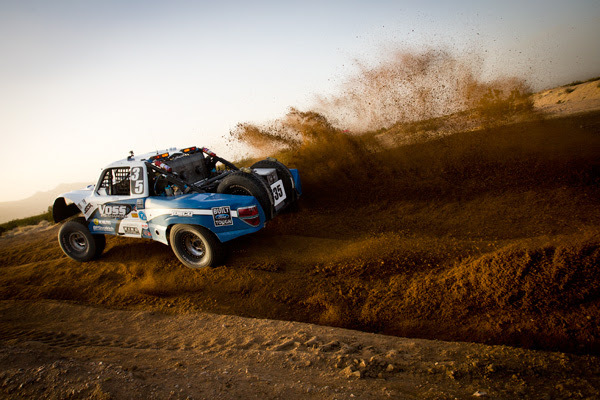 GARDEN GROVE, CA – DECEMBER 17, 2013 – Off Road Desert Racing in America means one thing. If you want to race at the top level against the sport’s elite competitors, than you race the Best in the Desert. The series attracts some of the largest fields of the super exotic unlimited Trick Trucks. After an exciting season and a close 3-way battle, Jason Voss has won the coveted Best in the Desert Championship. 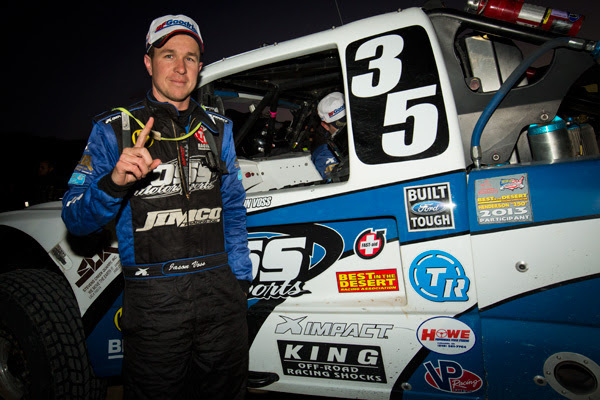 Before the season ending event; the Henderson 250 – “A Race for Champions” Jason shared his outlook. “With the Championship being within reach, I just need to drive smart. This is a rough course and weather will play a factor.” Voss’s foreshadowing was well conceived, as he was able to get out in front early and stay ahead of the other title challengers. Jason raced three 80-mile loops, for a total of 240 miles in just over 4 hours, worthy of the 4th place finish and more than enough to award the 2014 Best in the Desert Championship. 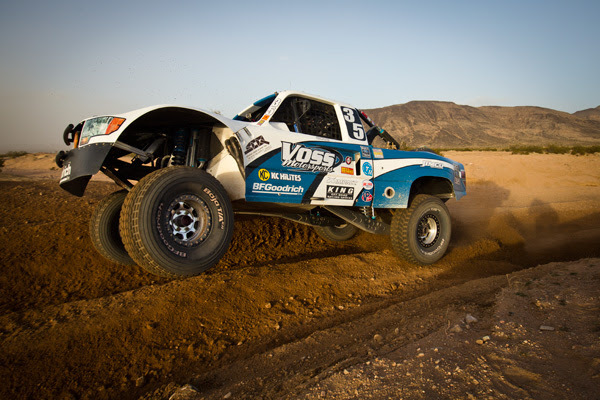 The event was not without significant challenges and during qualifying’s practice lap, Voss experienced a catastrophic transmission failure. With limited time for repairs, Jason and his co-driver immediately began dismantling his trucks under belly while still stranded just off course. Only after BITD officials retrieved Voss and delivered his vehicle back to the pits, the team was able to install a fresh transmission. With only seconds to spare, Jason was strapped into the truck in time to see Casey Folks wave the green flag. Jason full of nothing but nerves and adrenaline nailed down the fastest qualifying lap of the day placing him at the front of the entire field for the races start.